Any online store needs good SEO. E-commerce owners are in the know that well-optimized websites can have traffic constantly increased over time. So, it results in more leads and sales. The XML sitemap is one of the key factors here. It can help to get traffic from a better appearance in SERPs (Search Engine Results Pages). XML sitemap communicates to search engines via bots and crawlers essential data and organization of the content. Web crawlers read when a page was updated, the frequency of page content updates, the relative priority of pages within a website, and how to find links that may be put deep in the site structure. The more accurately an XML sitemap is set up, so the faster and more intelligently bots will crawl a site. How to index and rank all your e-store content? We think that the chances that you will write a sitemap by your means are low. With fast developing technologies, there are tools and functionality to do this automatically. 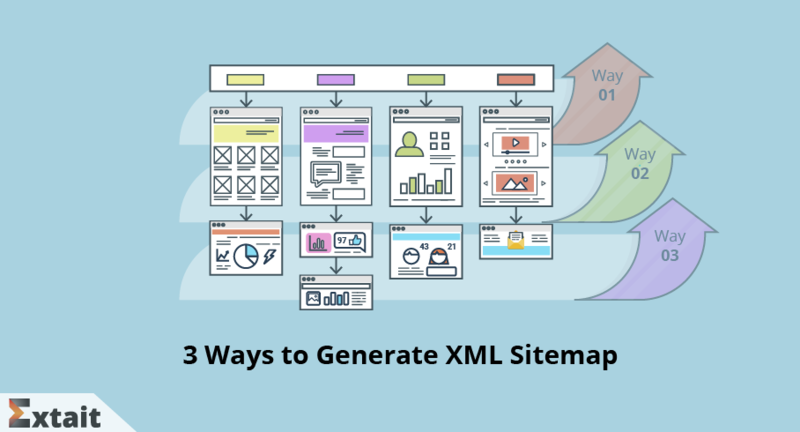 Let’s consider three possible ways to generate XML sitemap hands down. They are any desktop or online sitemap generator, possibilities of Magento 2 platform and an extended XML sitemap generator plugin. Include pages. The tool helps to list all links of your site, including those pages that cannot be found by search engines. Define frequency for pages. It means that bots are informed when a page last updated and tell how often a page is likely to change. Give engines page crawl priority. It is an optional attribute to include in an XML Sitemap though important. Add media. As well, it's possible to include images and pdf files placed on the site. Yet, a tool is limited in many ways. Mosltly you can only add 500 pages for free. If your website carries more URLs including images, you need to use paid plans. The tools often define the same change frequency for all URLs. It appears not suitable for any website that updates content every week, but the home page is wanted to be crawled more frequently. One more uncomfortable thing is adding new pages. Every time after an update, fresh content will be missed from the sitemap. Besides new products, a blog that regularly publishes new articles, i.e. producing new URLs, would benefit from an often-updated sitemap. To generate XML sitemap, you can spend a lot of time. A matter of few minutes is for small and medium-sized websites. But if your website is large with millions of URLs, it can take hours to crawl it. You need to validate the generated XML file. It requires one more action – running it through check test. Thus, you ensure the file is properly formatted before submitting. Getting the XML sitemap is not the end. A sitemap means nothing without submitting it to the search engines. So you need to upload this file to your website. If you don’t know how to do it, you need a developer to find out what the specific process for your server is. And remember that after publishing a new page you need to resubmit your sitemap. It’s a dynamically generated sitemap. When new pages are added, they will be automatically included in the sitemap. No more any human interference. The same case is when pages are removed, they are also be excluded from the sitemap. All products images can be added to the sitemap. Set different frequency and priority for each type of content: CMS, categories and product pages. Define the sitemap limits. There is an option to set the number of pages per file as well as the maximum file size. Set the frequency of the sitemap update. Depending on how frequently you modify the site content you specify the time when the new sitemap should be generated. Generation error notification. You can be notified if any error occurs during the sitemap update. Easy sitemap submission. You have the ability to submit the URL of your XML sitemap to Robots.txt. The settings are quick but generalized. You have no flexibility to exclude or include particular pages. As well, you are not able to assign different parameters for a page within a content type. Let’s see how the XML Sitemap generator comes in handy to handle this and even more. Configure frequency and priority of Home page separately. Thus, you set apart the main page from other CMS and can give it number 1 importance for crawling. Individual settings for products and categories. You can change the configurations of a certain product/category as well as completely disable them from the sitemap. Leave out of stock products. In case some products are going to be replenished soon, they will not be removed from the sitemap. So indexing and crawling are not restarted. Include products videos. It helps you to index your page better as web spiders will know where your video content is. Moreover, it is within one sitemap file so that it’s not needed to add video info manually or use a third-party tool to generate a separate file. Add categories images. Bring more traffic to an e-commerce website by making these images fully searchable. Include additional links. You can add some extra URLs like ‘account create’ or ‘account login’ with setting frequency and priority. Thus, you build an XML sitemap that can introduce your site to search engines, easily show the pages and media-rich content you want to index. You spend some minutes to do this and then never mind about the relevance of your sitemap and the content you have. It’s not that hard to create and submit an XML sitemap for Magento 2. Depending on the size and type of your business, you can choose either of the three ways listed in this article. We hope it’s useful to see the pros and cons of each type. Don’t put off to create or upgrade your XML sitemap. It’s a tiny step for the SEO benefits to be enormous. Get your custom sitemap made today!